Nintendo Trivia Time; 7 Things You Don’t Know about Nintendo Games! So, here we are again! Another article about Nintendo facts and trivia! It’s been a while since we wrote one of these that isn’t purely about Mario, isn’t it? Either way, we’ll be telling you about some interesting Nintendo trivia, with the games targeted covering all periods of Nintendo history and all franchises even remotely related to the company. As per usual, there will be no pointless cliches in this trivia list. We all know Super Mario Bros 2 was once Doki Doki Panic. We all know that Mario was named after Nintendo of America’s landlord, or that those creepy figures can be seen on the hilltop in Super Mario Galaxy 2. No, these are really interesting, really obscure facts about Nintendo games. Ones even most of Nintendo’s die hard forum goers don’t have a clue about. So here it is, here are 7 things you don’t know about Nintendo games! If you’ve been a Nintendo fan for a while now, you’ve probably heard the usual stories about Wario’s name and where it comes from. You know, about how ‘warui’ means ‘bad’ in Japan and how Wario is basically short for ‘warui Mario’ (or ‘bad Mario’). But did you know his name has another meaning too? Yes it’s true. 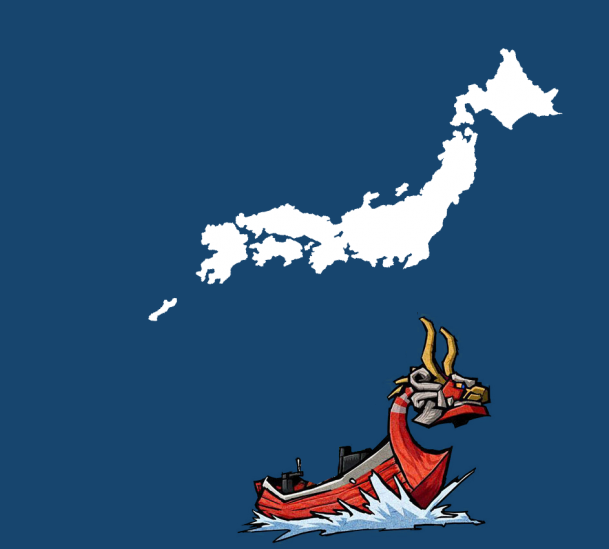 As Legends of Localisation has found out, W is often used to mean ‘double’ in Japan. So for instance, W Meteo in Final Fantasy means ‘double meteo’ and the skill ‘W-Item’ in Final Fantasy VII means ‘use two items in one turn’. Now think about Wario’s name, with the W used to replace the M in Mario. It means Double Mario! Or Mario’s double. 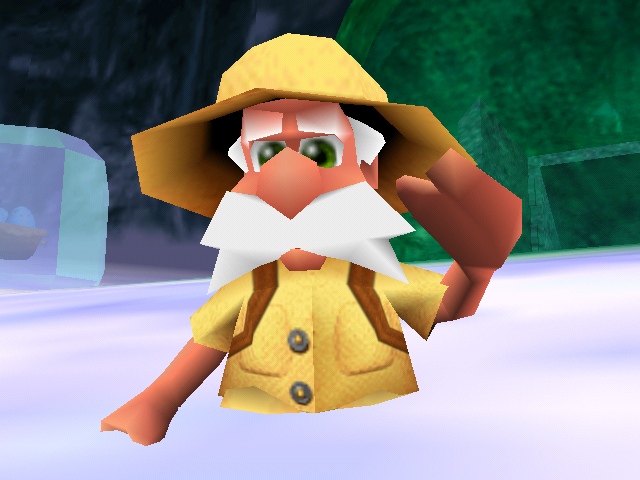 Mario’s Doppleganger if you will. Above: Panel is from German Club Nintendo comic, where Dr Light creates Wario by cloning Mario in a laboratory. So yes. Not only is Wario a ‘bad Mario’ and named after war, he’s also named after the Japanese term for ‘double’ characters or objects. Above: Top is Jetpac in Donkey Kong 64, bottom is Sabreman from Banjo Tooie. But what less people know is that some of these games can actually be played in GoldenEye 007 for the Nintendo 64! Yes really. Rare programmer Steve Ellis wanted to test out if ZX Spectrum games could be emulated on the N64, so he added an emulator with some of Rare’s classic games to the GoldenEye 007 cartridge! It comes with copies of Alien 8, Atic Atac, Cookie, Gun Fright, Jetpac, Knight Lore, Lunar Jetman, Pssst, Sabre Wulf, and Underwurlde. Played the original Legend of Zelda game when it came out? If so, you may remember all the comments about how ‘Pols Voice hate sound’ and how it turns out that the enemies are actually killed by using the Famicom’s microphone feature. But did you know that this weakness has been carried through every Zelda 1 remake? Even those on systems without an actual microphone? Oh yes. Nintendo weren’t content to just make Japanese gamers fight them in the same way as the rest of the world, so they went out of their way to add specific features to kill off these enemies like the microphone did! 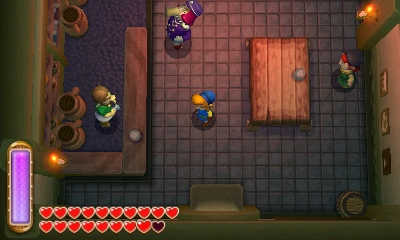 For example, in the Japanese version of Classic NES Series Legend of Zelda (for Game Boy Advance), you kill Pols Voices by pressing select four times to mimic the microphone function. And in the 3DS Virtual Console version? You actually have to Press L and R at the same time, then use Y to switch to a second controller, and then use the 3DSs microphone to defeat these creatures. Yes, they programmed in a way to switch NES controller in order to imitate how the Famicon version worked more than 20 years ago! Pretty impressive isn’t it, for a port of a game released more than 20 years prior? Got to love how much Nintendo pays attention to details like this. But did you know that the 3DS remake has the exact same song in it? Yep, despite the original song being cut from the Nintendo 64 game all those years prior, Ocarina of Time 3D actually has the original Fire Temple chants in the source code! If it grabs you, tap any button to escape! If it grabs you, rapidly tap (A) to escape! There was one new thing (a sound effect supposedly tied to Bongo Bongo), but for the most part… all the same beta content from the first Ocarina of Time game returns in the remakes. Makes you wonder about that ‘remade from the ground up’ speak, right? Next up, another Pikmin fact. Remember how awesome it was when you heard that a PC version of Pikmin 1 could be found hidden on the game disc? Well, this isn’t quite that cool. But interestingly enough, Mario was going to appear in the first Pikmin game! More interestingly, he was seemingly going to be a boss, given his size. Indeed, keeping in scale with the other characters (Olimar and co are literally a few inches tall in canon), Mario is actually bigger than the final boss. So big in fact he could only be loaded by replacing one of the backgrounds! 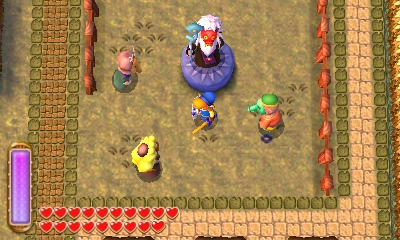 Next on the list, an interesting fact about Yuga from the Legend of Zelda A Link Between Worlds. And no, I’m not talking about the name meaning ‘oil painting’ either, as obvious as that might be. They work as follows. The Satya Yuga is a time of goodness and purity, where humanity is governed by gods and where humanity is in its golden age. The Treta Yuga is marked by decline and is a darker time than the previous one. It’s followed by the Dwapara Yuga (a time of pleasure seeking without divine intellect and where truth is a rarity) and then the Kali Yuga, where humanity is experience its darkest hour and is far from God. This one has rulers being corrupt and selfish, the people being driven by greed and wrath, hatred being common and nothing being known or respected about religion and spirituality. It’s pretty much Lorule’s story in a nutshell. 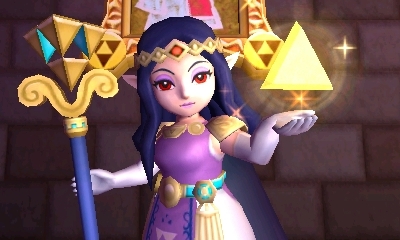 You’ve got the golden age when their Triforce was intact and people were living peacefully. The ages of decline after the wars and subsequent breaking of the Lorulean Triforce. Above: Thieves Town, the only settlment in Lorule, complete with crime being the main industry and monsters being worshipped as gods. Above: The Captain drowning his sorrows at Lorule’s Milk Bar. Here I am working for the royal family. As if it weren’t their fault things have fallen apart! Add the end and subsequent reset of the cycle, and you’ve pretty much described the setup for A Link Between Worlds. Yuga himself as well really. Started out moderately decent, corrupted by darkness (presumably Demise’s curse) and then degenerates mentally in a crazed beast intent only on destruction and world conquest. 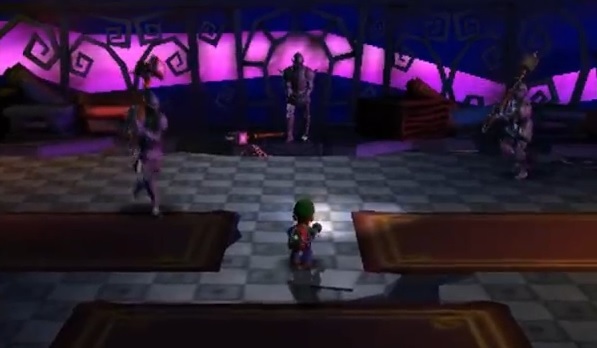 As anyone who’s played Luigi’s Mansion Dark Moon knows, the Tough Possessor is the penultimate boss fought in the game, which attacks Luigi by controlling multiple suits of armour in a bid to stop him from reaching King Boo. But did you know that his design/motif actually has a basis in old ghost story lore? Yes really. You see, before modern depictions of ghosts in fiction, renaissance era playwrights had a very different way of depicting them. As figures in armour. But while it made sense at the time (armour was seen as a relic of a bygone age, as a remnant of the then over medieval era), it went out of fashion pretty quickly. I mean, armour is not a convenient costume choice for an actor on stage. It makes more sound than you can possibly imagine, and well… the ‘ghost’ certainly can’t make a subtle entrance without alerting the entire theatre to it in the process. Basically, it looked and sounded ridiculous. Above: Could you take this seriously outside a video game? So we ended up with stuff like the bedsheet ghost and jacob marley apparal. Which made for more convenient story telling. But what’s this got to do with Dark Moon? Well, look at the Tough Possessor for a minute. The thing looks absolutely ancient, probably enough that it was actually around at the time when a suit of armour was a decent way to portray a ghost or supernatural being. So its battle and concept could well be a throwback to renaissance era stage plays and ghost portrayals therein. Bonus: Treacherous Mansion is the Mushroom World version of Sir John Soane’s Museum? Talking of the Tough Possessor, the mansion he’s found in might have an interesting basis in reality too. Namely, it seems like Treacherous Mansion might be based on the Sir John Soane’s Museum in London. Think about it a minute. Both are large houses turned into museums, which were seemingly designed by merging multiple buildings together for a weird and illogical floor plan. Check. An ominous looking section with Egyptian artifacts in the basement (the real life museum acquired the sarcophagus of Seti I and has it prominently on display). They’re both museums that seem to be designed without any real logic to their arrangement (other than personal interest). It’s just a theory this one (hence why it’s not included in the main list), but hey, it’s possible. And so that’s our list. Seven things you (most likely) didn’t know about Nintendo games. Thoughts? Comments? Things we’re wrong about? Post in the comments below or at Talk Nintendo.com today! You forgot about the Windows executable hidden in the Pikmin disc image. It is basically a buggy unfinished version of the game, and the tcrf article has details about how to run it. Yeah I know. I think it was mentioned in a previous article, although I can’t for the love of anyone find it right now. I love it when you do these! It’s always interesting to find out some new (and sometimes scary/weird) facts about Nintendo games and their history! Keep up the good work! Yeah, they’re pretty interesting articles. Certainly more so than many ‘trivia’ articles on gaming sites!